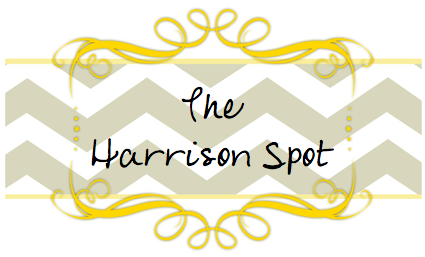 The Harrison Spot: 14 weeks. 14 week pics, but i am actually 15 weeks this weekend. yay. it feels like forever and still forever to go. 3 weeks to go until we find out if it is a boy or a girl. we have picked names. boy will be patrick kale (will go by kale), girl will be sloane alexandra. we were having a heck of a time picking names. it seemed like we didn't like anything that the other person liked. so, we compromised, kyle got to pick the boy and i got the last say on the girl. now if baby h will just be a girl so i can win....hehe. 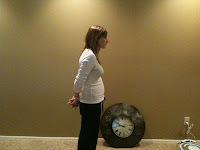 at 12 weeks all of the morning sickness disappeared. i have an occasional hit of it still, but nothing like the first trimester. thank you lord for taking that away. i'm finally enjoying this. my belly is large enough now that you can tell i am prego and not just do that she might be or she might not??? you look so cute....have you checked my blog out...i just started doing it recently. 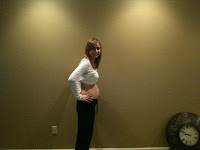 it's shaffandlaura.blogspot.com and i just took some pics of myself....we are so close to the exact time...im gonna be 16 weeks this weekend and i think i read you'll be 15!! that's awesome!